No bull, time to quit horsing around, Centaurs and Minotaurs are both featured player races in the latest Unearthed Arcana–come check them out. That’s right folks, this month’s Unearthed Arcana is rich in taurine, only unlike the real world, this one won’t make your kidneys cry themselves to sleep at night. In the latest Unearthed Arcana, which seems conveniently timed alongside the release of Mordenkainen’s Tome of Foes (which features player options like the Githyanki, Githzerai, Duergar, Eladrin, Sea Elves, and Shadar-Kai), two new player races are introduced: Minotaurs and Centaurs. So let’s dive in and see what these previously monstrous options are like for players. So right off the bat, the biggest thing about the Centaurs is their speed. 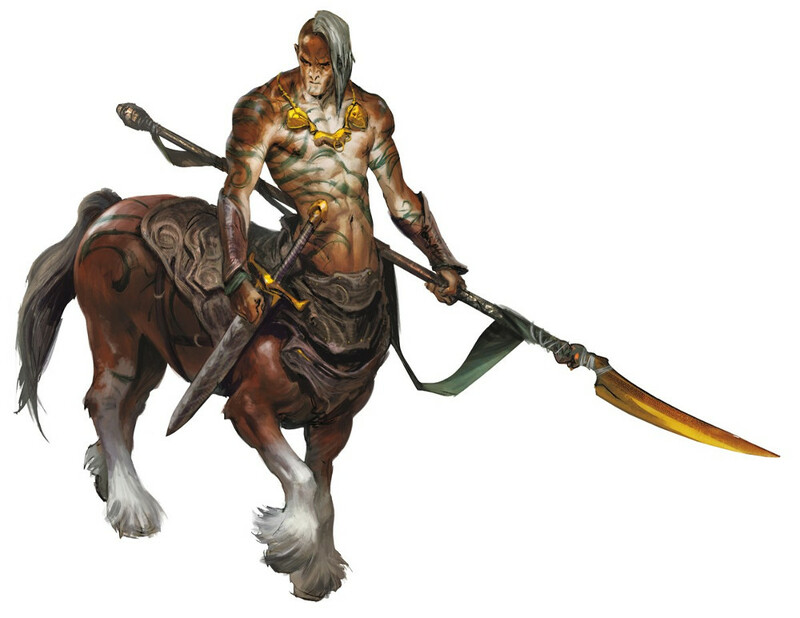 They move at a base of 40ft (which means that a Centaur monk or Barbarian can set the record for fastest PC), and they gain the ability to charge once per rest, letting them roll double their damage dice on a melee attack when they’ve moved 20 or more feet in a turn. Both of these abilities make them fairly suited for brawling. But then the real kicker comes in their ability to let players ride on them. As a centaur, you can support another Medium creature on your back and can carry them around. You can effectively lend your mobility to another party member–even a heavily armored one, since you have a powerful Equine Build which lets you count as one large instead of medium for the purposes of encumbrance. And since you and your rider act independently as creatures, there’s plenty of opportunity for team players to work together. 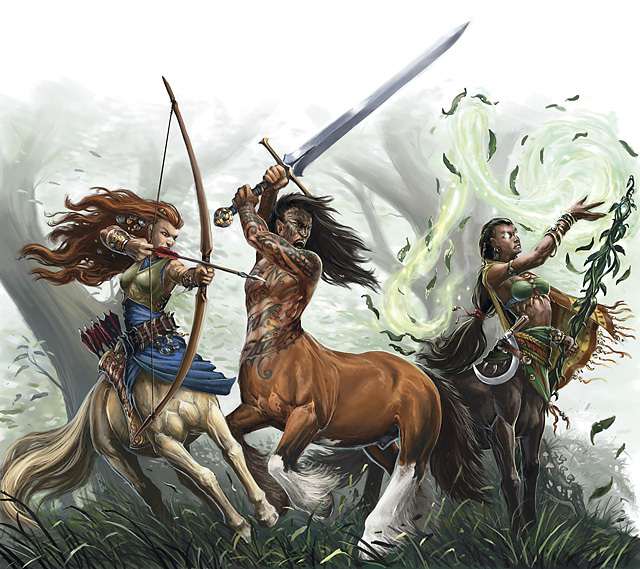 A centaur with a lance and another fighter riding atop them, also with a lance, might be one of the most D&D mental images of all time. Large and imposing, Minotaurs are another monstrous race–and they gain Hybrid Nature like the Centaurs, which means that you count as both humanoid and monstrous for the purposes of determining whether or not a spell hits you. It’s a drawback to help pay for the more powerful features of the class. 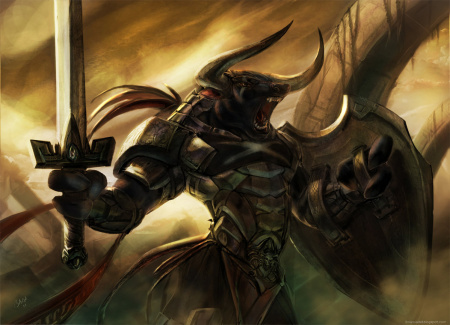 Same as Centaurs–whose mobility enhancing prowess is second to none–but Minotaurs gain the ability to make extra attacks and control the battlefield. Goring Rush lets you make a dash action on your turn, followed by a melee attack with your horns, which are natural weapons that deal 1d6 + Strength, or Hammering Horns which lets you follow up a melee attack with a free shove as a reaction. Sure your opponent has to fail a strength save, but this attack only uses your reaction, so it opens up a lot of actions on each of your turns.